I hope you're having an amazing Friday! My day has been amazing because I've got to relax and play one of my favorite games, Wizard101. Today, I mostly focused on leveling my pets. My main goal is to have new pets for all of my wizards that I plan on questing through Empyrea Part Two. 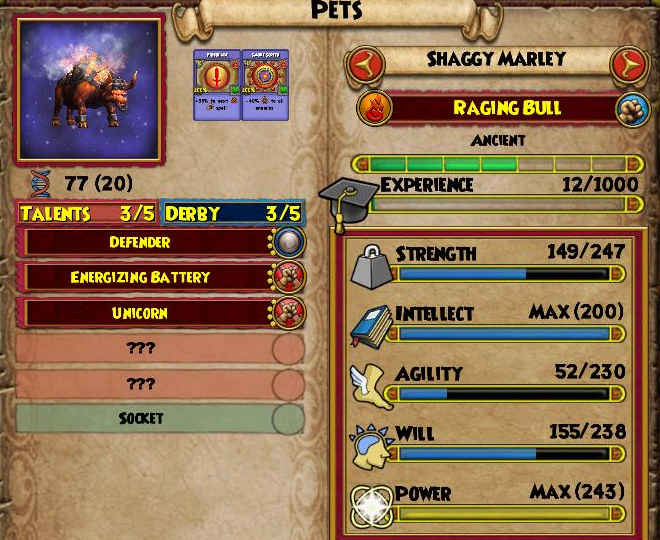 I started leveling my fire wizard's raging bull pet today since he'll be the first wizard to start questing in EP2. Today I leveled my pet all the way to ancient with various snacks. These snacks were not from the Mega Snack Pack or Gardening, so it took a while to level it up. I will say that I think it's time I finally get into gardening. I remember when Kingsisle released it, but I never got into it. 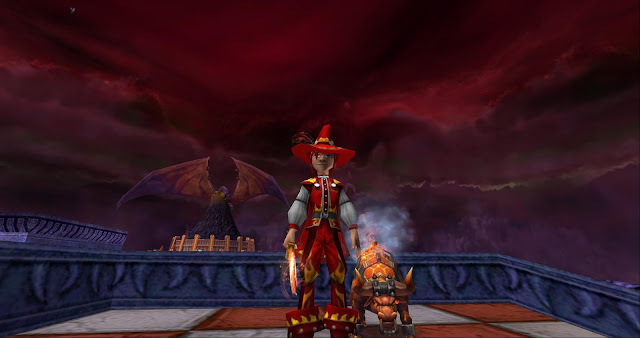 This year, I want to try new things out in Wizard101. Gardening for Mega Snack Packs is one of those things! Don't tell anyone, but I've probably deleted at least 100 seeds that are known to drop mega snacks. :P Okay, now I'm going to stop typing and get back to leveling my pet. 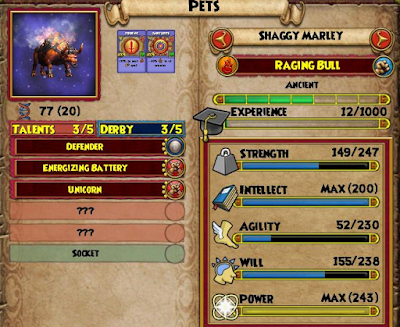 I think I'm going to level Shaggy Marley up with Grub Guardian. Thanks all for reading and wish me the best of luck on my other talents. Until next time, I'll see you around the spiral.